Tanya and Alex from Kaliningrad in Russian Kaliningrad district have elaborated something really unique - a set of songs which takes me back to some nice childhood memories without literally warping my mood or doing any serious damage on my senses. 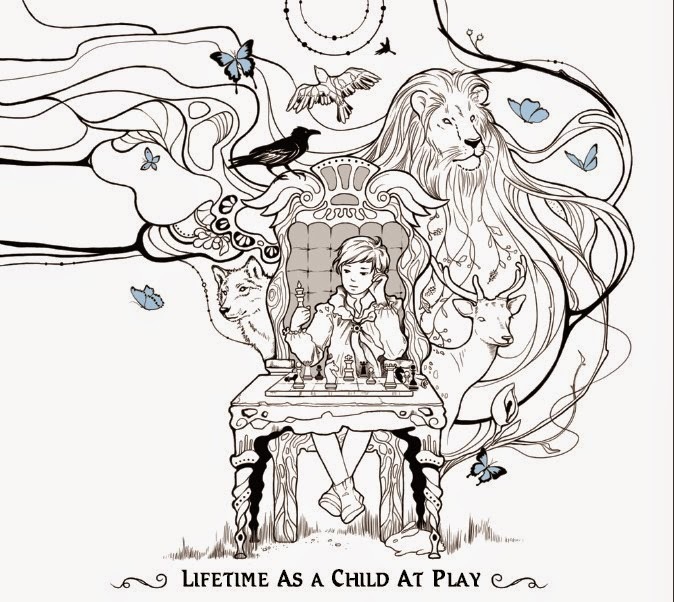 It is important to start with the fact that "Lifetime as a child at play" is basically very difficult to classify which makes it very good material on the spot. A classical in a way and sort of folksy but not in the typical clichee manner of singer/songwriter manner - composed as if they wanted to address not a particular person in mind. The tracks as I mentioned above are classical in a way but with no particular reference towards any composer and have no hue of another clichee which is psychodelic post-folk whatever. It is as relaxing as it may be and as much unobtrusively poetic as it may be - light weight and linear, soft and not pretentious at the same time. Perfect for relaxing but also great to appreciate excellent craftsmanship.